Sibanye-Stillwater did not accept the salary increase proposal by the CCMA, Amcu says. 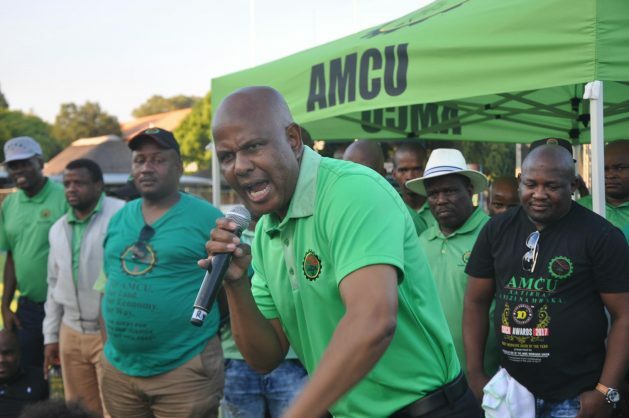 The Association of Mineworkers and Construction Union (Amcu) said on Tuesday that it had been mandated by its members to accept a proposed settlement agreement to break a wage negotiation deadlock at Sibanye-Stillwater. Amcu said the CCMA had proposed a payment of R5,700, coupled with other issues as contained in the previous settlement agreement. These included a salary advance of R5,000, debt consolidation, non-deductions of employer contributions to benefits, death benefits for employees who died during the strike, as well as disciplinary issues. “While AMCU members previously indicated acceptance of the other issues covered, up to now they insisted on a payment of R9,300,” said Amcu via a press release. The union was “hopeful” its acceptance of the proposal would signal a speedy resolution to the wage dispute, it said. “AMCU leaders conducted mass meetings on Friday and at these meetings members accepted the proposed settlement by the CCMA in broad terms, before mandating the negotiating team to engage further with Sibanye-Stillwater on the implementation and method of payment, as well as the issue of back-pay. “At the meeting facilitated by the CCMA [on Monday], AMCU communicated its in-principle acceptance of the proposed settlement, emphasising that the R5,700 should be split over two of the wage agreement terms, which is three years in total, as well as back-pay for the first year of the term. “Even though Sibanye-Stillwater did not accept the proposal by the CCMA, AMCU remains positive that this will create the necessary momentum to see a speedy resolution to the wage dispute,” said the union.